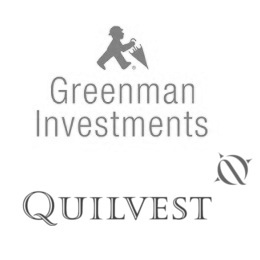 Dublin/ Luxembourg, 21 June 2017 – The Irish real estate investment company, Greenman Investments (“Greenman”), has partnered with Quilvest Real Estate, the real estate investment arm of Quilvest Private Equity, to acquire an inner-city retail property from MEAG in Bergisch Gladbach in North Rhine-Westphalia, Germany. The overall costs for the asset amount to approximately 30 million euros. The “RheinBerg Passage” hybrid shopping centre, opened in 2007, is located at Johann-Wilhelm- Lindlar-Strasse 14 in Bergisch Gladbach. Greenman and Quilvest Real Estate intend to redevelop the property and reposition its tenant structure so that it can meet the growing consumer trend for gastronomical experience and a demand for a wider variety of groceries and retail options. To this end, negotiations are ongoing with large food retailers. John Wilkinson, CEO of Greenman Investments, said: “In RheinBerg Passage, we have acquired an attractive property in a superb high-street location that comes with a high value-add potential. We are firmly convinced that our strategic approach will help to enhance the quality of stay at the arcade and boost the appeal of the inner city in a sustainable way.” Bergisch Gladbach has a population of around 110,000 residents and lies on the right bank of the Rhine, across from Cologne. With a purchasing power index of 116.9, the city has a higher spending power than most other German cities. Hybrid shopping centres are smaller than retail warehouse parks and shopping centres. They cover the entire retail spectrum of food and non-food merchandise with a similar concept and tenant structure as a warehouse park. They are, however, located in the centre of towns and cities, usually covering two floors similar to shopping centres. Legal counsel to Greenman Investments & Quilvest Private Equity in conjunction with the acquisition was provided by the Berlin-based legal firm of Bottermann Khorrami LLP. Axcit Capital Partners facilitated the acquisition process in the role of debt advisor. Tenzing partners facilitated the acquisition process in the role of M&A advisor and JLL acted as an advisory to MEAG on the sale. Note on image rights: These images may be used for the purposes of reporting on Greenman Investments, MEAG and Quilvest Real Estate. Please use the following source: MESA Development.The images may only be processed for ordinary usage.